MOSCOW, April 6. /TASS/. 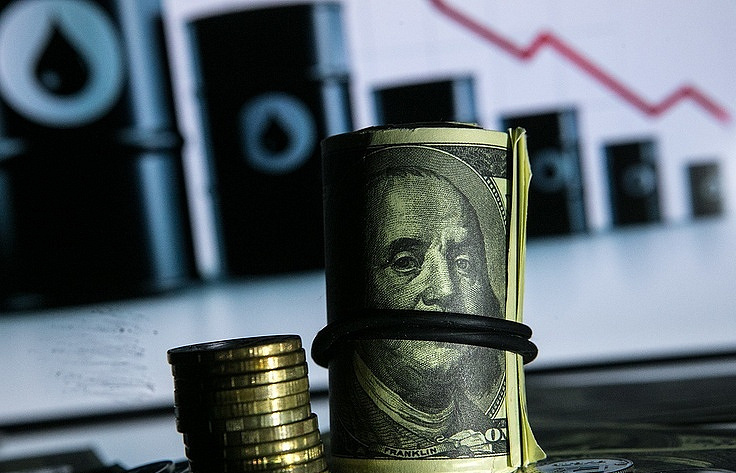 Oil prices are expected to decline to $40 per barrel and stay at that level after that, Minister of Economic Development Maxim Oreshkin said on Thursday. "The basic precondition from the standpoint of oil price is that oil prices will drop to $40 per barrel in this year and remain at the level of $40 [per barrel] after that," Oreshkin said. "The average annual oil price under the base case and the target scenarios is $45.6 per barrel in 2017, $40.8 per barrel in 2018, $41.6 [a barrel] in 2019, and $42.4 [per barrel] in 2020," the minister added. The national currency is expected to weaken in current months to 63-64 rubles a dollar, according to Oreshkin. "According to our estimates, if the rate does not return to model values, an extra capital inflow of $18 bln will be required to maintain stability of the forex market and to keep such rate the capital inflow should be over $10 bln in general over the year. This is not a base case scenario for us and we therefore expect significant ruble weakening in current months," Oreshkin said. Time now is favorable for population to buy foreign currency, the minister said. "We fundamentally believe that the current moment is highly beneficial for foreign exchange purchases by importers and population preparing for overseas trips," Oreshkin added. The ministry predicts the dollar to be equal to 68 rubles at the turn of 2017 and 70.8 rubles by 2018 year-end in its base case macroeconomic scenario. 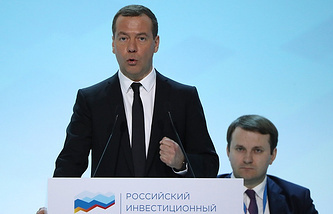 The inflation target of 4% set by the Bank of Russia can be achieved in May, according to the minister. "The base case presumes inflation decline to the target of the Bank of Russia (4%) already in May; we expect inflation at the level of 3.8% under the base case scenario by year-end," the minister said. If the national currency rate is 56-57 rubles per dollar, inflation at the level of 2.9% can be expected by the year-end, Oreshkin said, adding that the variant of inflation contraction to 2.9% by the end of 2017 is unlikely. Russian budget deficit may not be above 2% of GDP in 2017, according to Oreshkin. "We expect budget deficit will not be above 2% of GDP this year. If oil prices are kept this year above the ones in the base case scenario, we may see budget deficit to be closer to 1.5%," Oreshkin said. The risk of deflation is excluded for this year, the minister said. "We absolutely do not see deflation risks for this year, although such probability cannot be excluded in midterm and over the long term. It is important to note that the [inflation] target of 4% significantly mitigates the deflation risk," Oreshkin added. The Russian Ministry of Economic Development notes huge capital inflow to the local market in 2017, particularly owing to offering of federal loan (OFZ) bonds. "Russia is recently considered to be one of the best or even the best asset among developing economies. Extensive communications with foreign funds evidence very optimistic mood regarding the Russian economy and the Russian market. We note huge capital inflow to the domestic market in this regard, particularly related to proactive policy of OFZ bonds offering by the Finance Ministry on the internal market," the minister said. Net capital inflow was recorded in Russia in the first quarter of 2017, Finance Minister Anton Siluanov said on Wednesday in an interview with Rossiya 1 TV Channel. Developing markets, particularly the Russian one, have become interesting for foreign investors, the minister said.